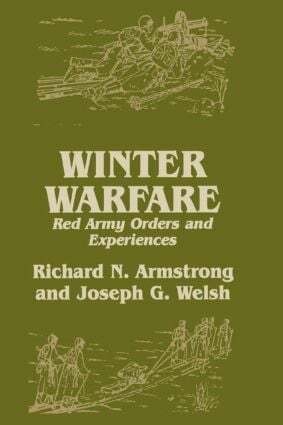 Based on German and Soviet military archival material, this book provides an insight into the tactics and planning for combat in a winter climate. It also studies the mechanisms for change in an army during the course of battle. The first part of the book looks at the tactical pamphlet 'People's Commissar for Defence Order No. 109', as passed by Red Army units on 4 March 1941, which provided regulations for combat in Winter. The second part of the book, using material from the Soviet military archives, reveals Red Army General Staff supplements to the winter regulation.